Brooklyn Heights boasts of being America's first suburb, where bankers and merchants sought a leafy refuge minutes away from the skyscrapers across the East River. In recent years, new residents have flooded into the neighborhood, pushing up home prices and bringing more life into the somewhat staid streets, many of which are quaintly named after fruits. The brownstones in Boerum Hill, the lofts and converted warehouse spaces in DUMBO and the restaurant row on Smith Street have all attracted newcomers to the area. But for all of its reputation as a haven for families, the Heights ranks a lowly 60th out of 69 neighborhoods for per capita crime in DNAinfo.com's Crime & Safety Report, with 205 major crimes per 10,000 residents. That's worse than several notoriously crime-ridden neighborhoods, including East New York. 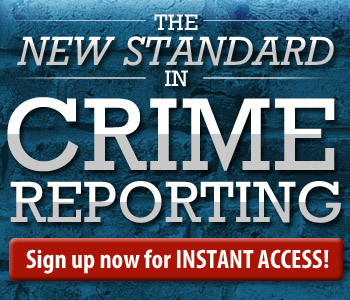 Its violent crime ranking is 49th of 69, with 63 violent crimes per 10,000 residents. The neighborhood's property crime ranking is a woeful 62nd, with 142 of these crimes per 10,000 residents. The 2010 census has the neighborhood identifying itself as 69 percent white, 15 percent black/African-American, 13 percent Hispanic and 11 percent Asian (Hispanic percentages include people who also identify as black or white). In an unsettling sign, there were three murders in 2010, compared with one in 2009. Robbery was up 20 percent, rising from 153 instances in 2009 to 184 in 2010. And burglaries jumped 6 percent, from 112 to 119. But the picture isn't totally bleak. Those increases last year were offset by declines in felony assaults, grand larcenies and car thefts. As a result, there were fewer than 1,000 serious crimes reported to the police in 2010, leaving the area's overall major crime rate virtually unchanged from 2009 to 2010. And total major crime was down a healthy 78 percent from 1993 to 2010, led by 86 percent declines in robbery and burglary and by a 93 percent drop in car theft. »Find out more about the methodology behind DNAinfo.com's safety rankings. In 1986, wealthy businessman Louis Katz, 58, stabbed to death Michael Moriarty, 37, the new lover of his 20-year-old ex-boyfriend, inside Moriarty's home on Hoyt Street, near Wyckoff Street, in Boerum Hill. Katz was attacking Moriarty's roommate when the police fired a single shot through a window, the bullet hitting Katz behind the ear and exciting through his eye. Katz survived, and his 1988 murder trial ended in a hung jury. A judge released him on $400,000 bail and he vanished. He was later tried in absentia, convicted of murder and sentenced to 13 and a half to 40 years in prison. He remained a fugitive for 13 years. In February 2002, a tip led cops to Panama City, Panama, where they found Katz, then 73, living in luxury. They had traced the registration of a distinctive white Porsche to him. Katz was extradited to New York and sent to prison for the 1986 murder. He will be eligible for parole in 2015. Copyright © 2009 - 2011 Digital Network Associates dba DNAinfo.com. All rights reserved.